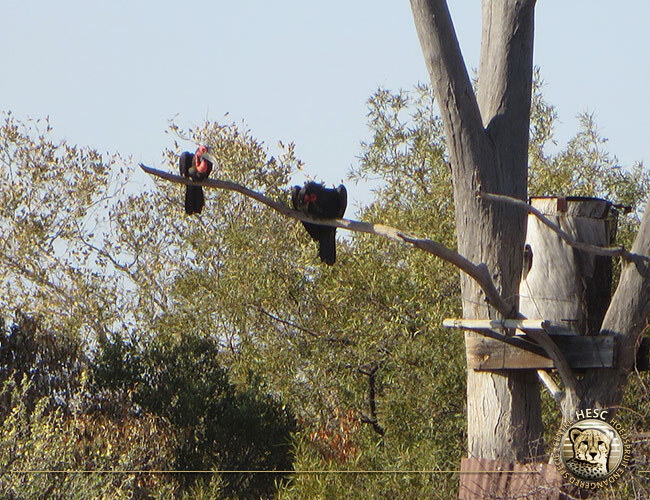 Over the course of 2014, a wild female southern ground-hornbill was spotted at HESC courting our resident male in the aviary. This wild female had managed to catch the attention of the male, causing him to snub the female he’d been paired with as a breeding partner. Ground-hornbills are very slow breeders. A pair produces just one brood of two chicks every nine years, only one of which survives. 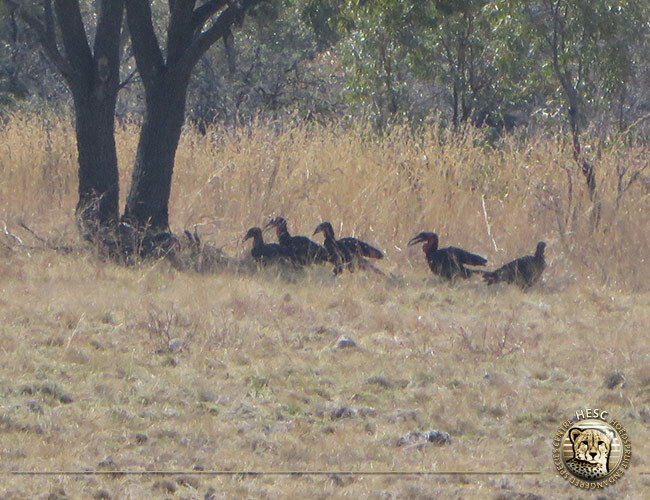 To ensure that the ground-hornbills at HESC were not distracted and could start breeding, we contacted Mabula Game Reserve to relocate the wild bird to their reserve as part of the southern ground-hornbill Action Group release programme. The objective of this capture was to supplement the Mabula population with a wild female. She was named Kapama. 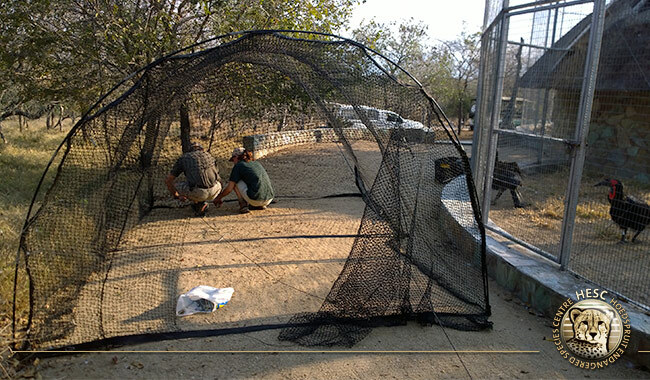 On the 21st August 2014, Kapama was caught and transported to Mabula Game Reserve, After all the health checks were completed, she was released into the aviary at Mabula, and paired with an alpha male (which happened to take an instant liking to her). Kapama settled in very well and there were many positive interactions between her and the group. 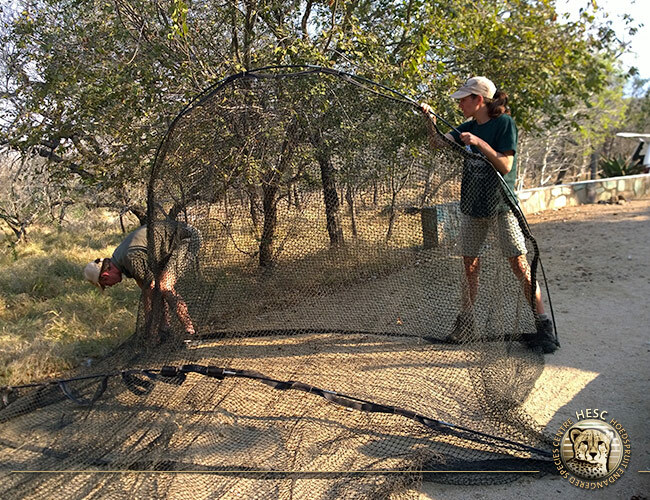 She and the young male were then released on the 9th September 2014 onto Mabula Game Reserve. Her new mate introduced her to her new environment and to their nest, in which she spent a considerable amount of time over the November-December breeding period. There’s been no egg for the couple as of yet, but we are hopeful that there will be one in the next breeding cycle. Kapama has integrated very well, and has stepped up to her role as alpha female. She even occasionally disciplines the hand-reared youngsters that she and her partner are mentoring. She has remained very wild and wary of people, which is excellent! The Mabula staff keeps an eye on her daily. Said Lucy Kemp, “I am grateful that you took the leap of faith to give her a breeding role, and also to give our young birds a wild female mentor”.